The Atla Digital Library brings together digital collections of scholarly, historical and cultural significance that are relevant to the study, teaching, and learning of religion and theology. It is designed to provide Atla members and other organizations with a standards compliant, sustainable, and inter-operable hub that will promote visibility and access of their valuable digital collections. 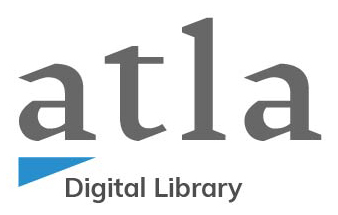 The digital collections of the Cooperative Digital Resources Initiative (CDRI) are now part of the Atla Digital Library. These collections, developed as part of a joint initiative of Atla and the Association of Theological Schools and thanks to a generous grant of the Henry Luce Foundation, include digital images of woodcuts, photographs, slides, papyri, coins, maps, postcards, manuscripts, lithographs, sermons, shape-note tune books, and various forms of Christian art, architecture, and iconography. Access the CDRI collection. Atla Institutional and Affiliate Members may contribute metadata for their digital collections to the Digital Library. Archives, non-degree granting organizations, or other organization that are not Atla members but have collections matching the scope of the Atla Digital Library may also contribute their metadata for a nominal fee. View participation information on the web site.